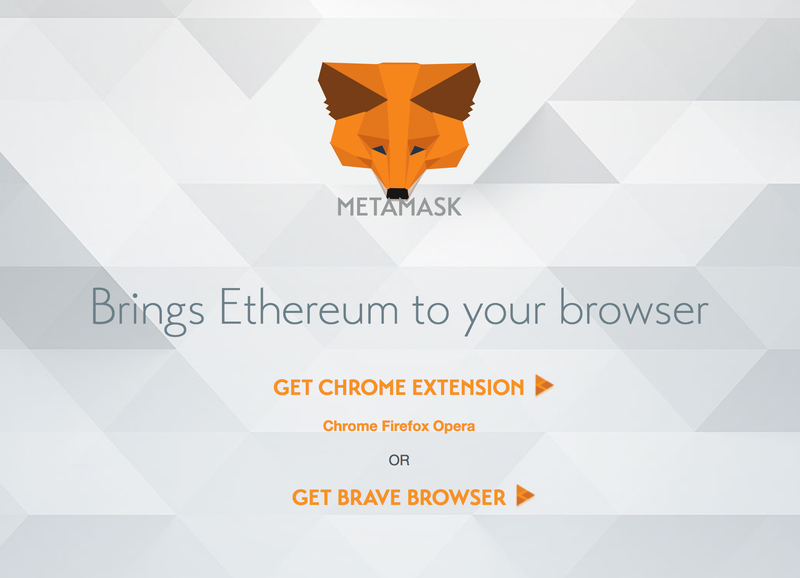 Home Essential What is MetaMask and How to Send and Receive Ether with it? 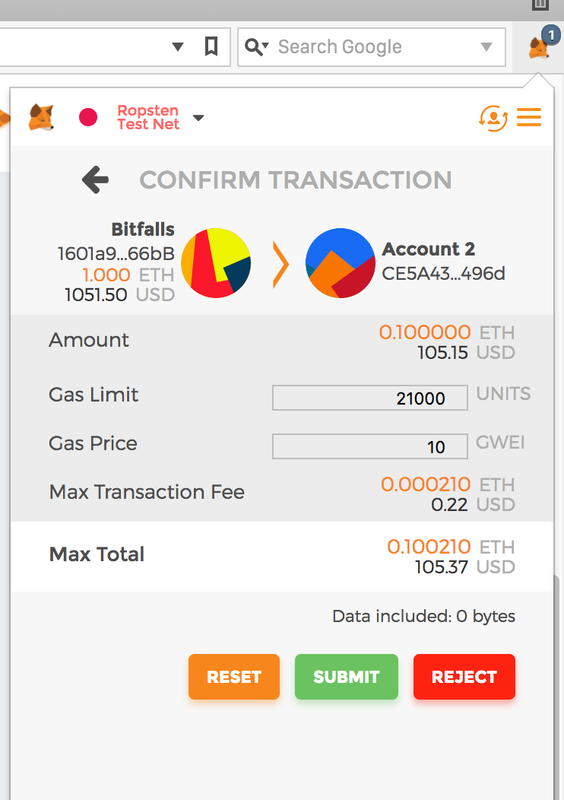 What is an Ethereum Testnet? It wants full control over copy/paste commands, permission to talk to external resources (websites and nodes of the blockchain), and the option to look at and modify the contents of every website you visit. In other words, it wants everything. 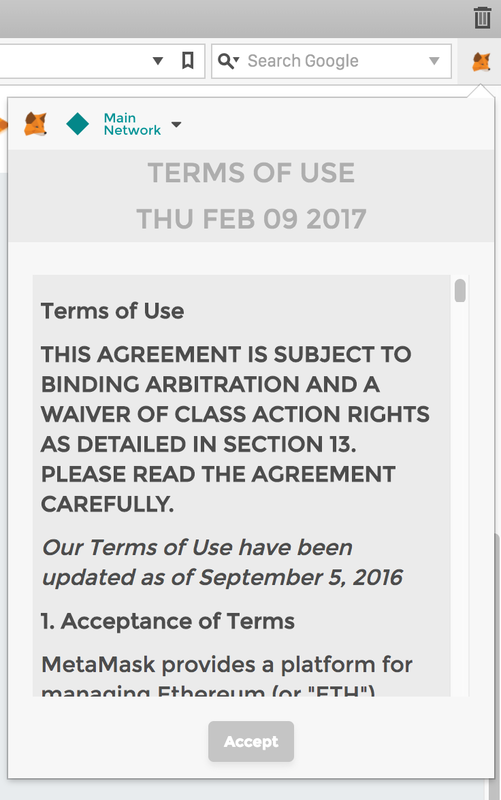 For as long as a reputable company is behind it, this is nothing to worry about. Still, these permissions are worth keeping in mind – it wouldn't be the first time a malicious actor got hold of a popular extension and wreaked havoc. After installing, the extension's icon will become available in the toolbar. Clicking it will reveal the popup with the user interface. 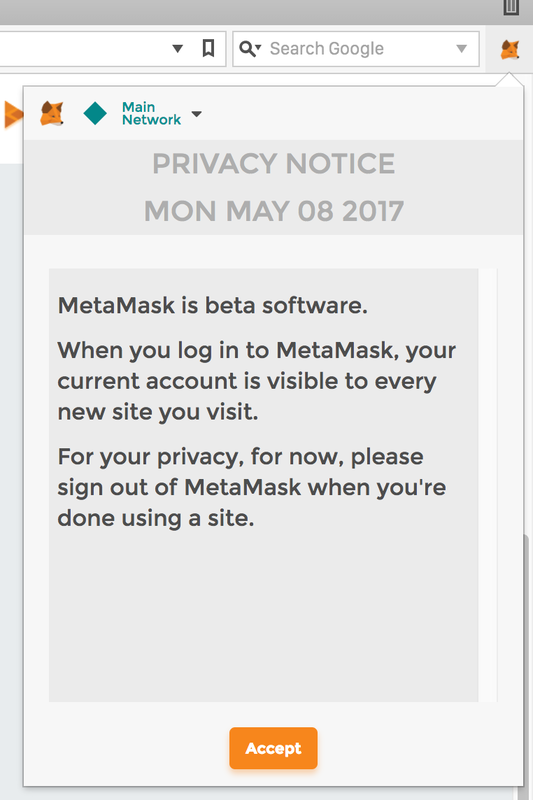 The first screen will warn us that we're dealing with beta software and that the address we generate and use with MetaMask is visible to every page we visit, unless we sign out of MetaMask before visiting it. 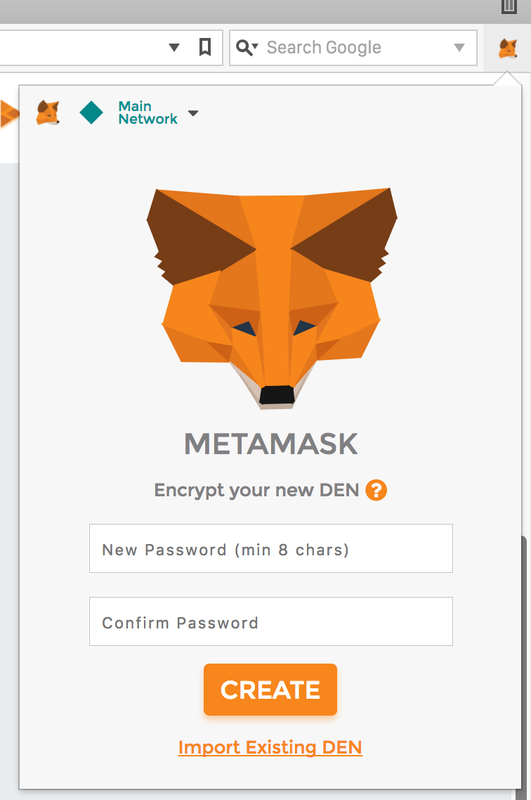 After inputting the password, MetaMask will show a seed – a list of words from which generated addresses can be regenerated if we lose access to the browser or the wallet files due to a hardware or software error. In the upper left corner, you can switch networks. Click “Main Network” and choose another one like Ropsten. You can find out more about these testnets here. 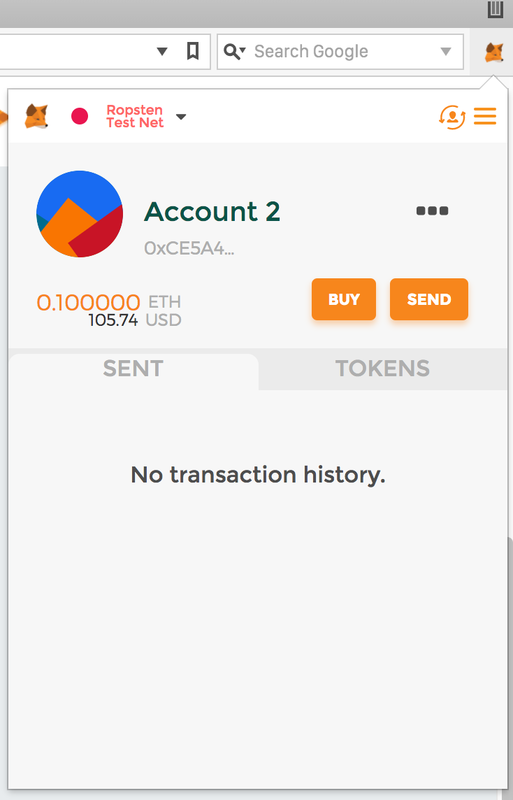 The three dots next to the account name are a menu – they offer some options about the account like checking the account on Etherscan (possible only when MetaMask is connected to the Mainnet or a public testnet), showing the QR code of the address for easy scanning with a phone or printing a paper wallet, copying the address to the clipboard (i.e. for pasting into a wallet software) and Export Private Key which lets you create a private key from an open account – a collection of numbers and letters not unlike a password. This can be used instead of the encrypted JSON file many wallet tools generate to import the wallet into another software. There are two buttons above the three dots: three horizontal lines leading us to the settings menu (currently not interesting to us) and an icon of a human silhouette surrounded by curved arrows. 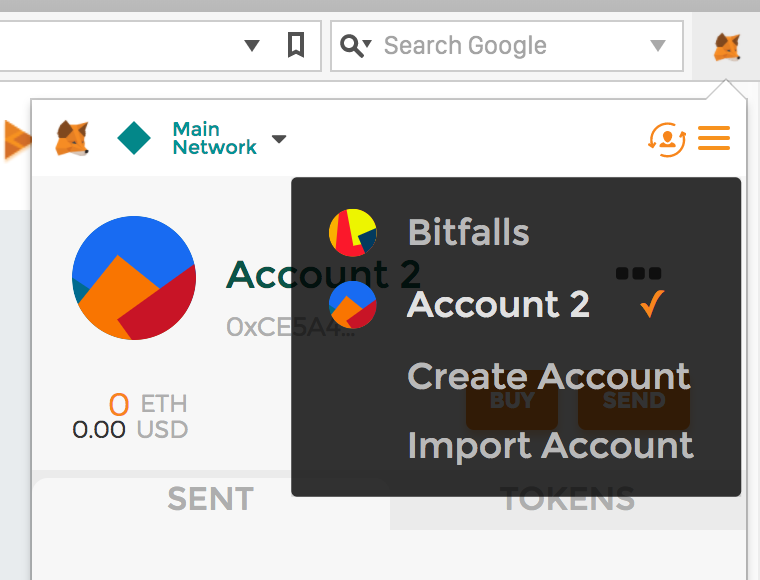 That's the “Account” menu which lets us create new accounts or import previously created ones. 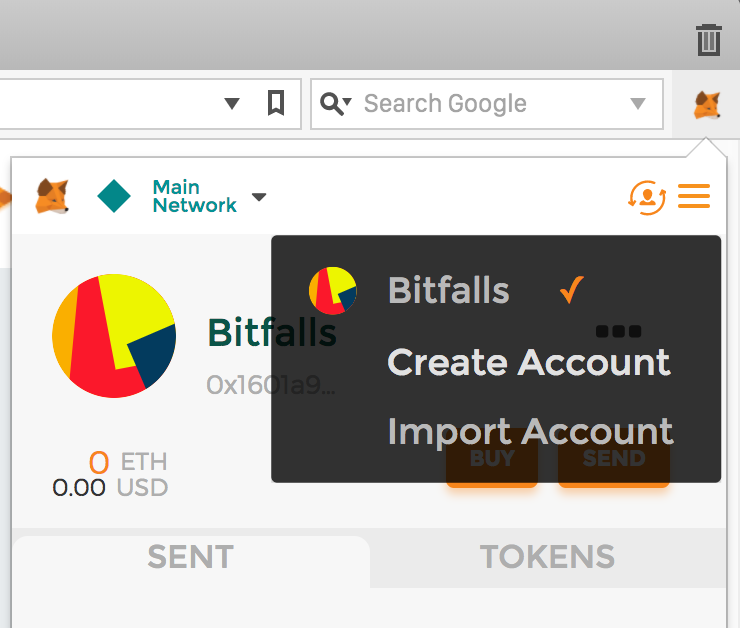 The “Import Account” option leads us to the screen which lets us import JSON files or private keys (like the one exported via the option mentioned before). JSON files will usually be generated with programs like MyEtherWallet or Mist. Concretely, this means that any of those wallets can generate data that is compatible for consumption by any other wallet, thereby keeping your funds safe and portable across software. Let's try sending and receiving some Ether now. First, let's switch to the Ropsten network. If you haven't already, select Ropsten from the top left menu in MetaMask. Notice that the address remains the same – that's because the algorithm used to generate a pair of keys is identical and technology-dependent, not network-dependent. A private key on one network can unlock the wallet on another network, so be careful about sharing even a Testnet private key! Only the balances of these accounts differ. Learn more about this here. Next, let's select “Copy Address to Clipboard” for that account. Then, let's get some free Ether from one of the faucet sites – sites made specifically for that purpose. 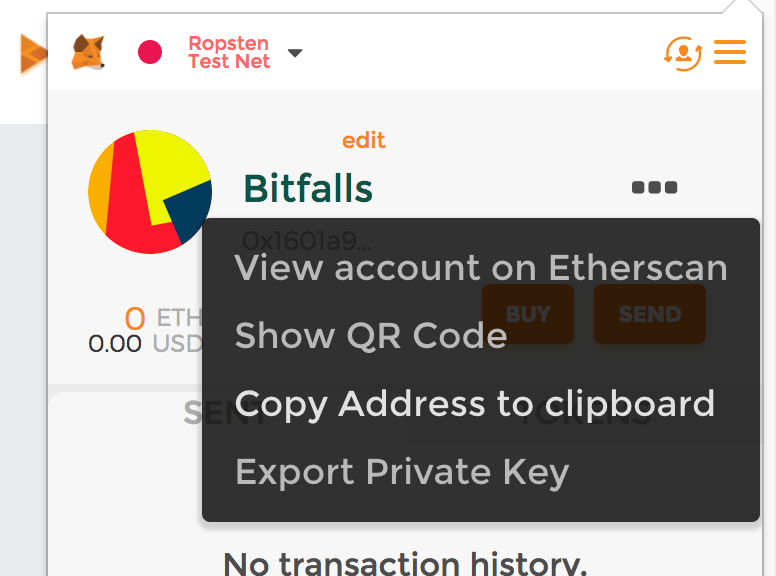 http://faucet.ropsten.be:3001 requires you to manually input the address to which to send the Ether. Use the first field to paste the previously copied address into it if you're using this site. Now that we have Ether on one of our accounts, let's try sending it to another. 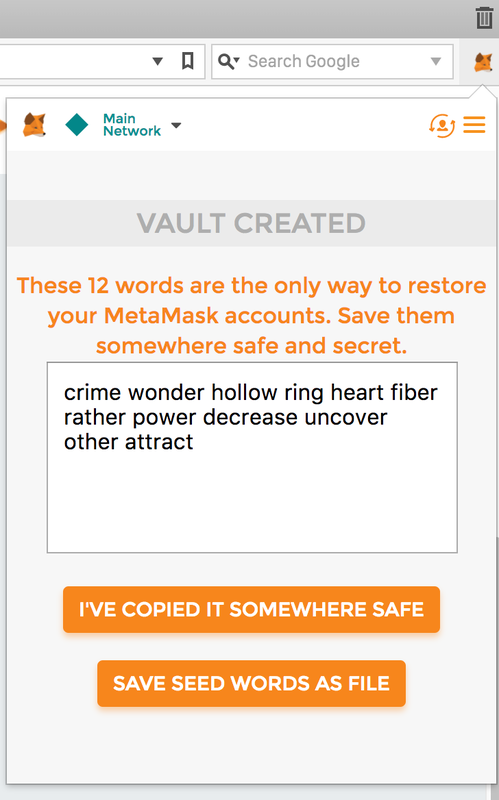 First, we pick the account we created and copy its address. 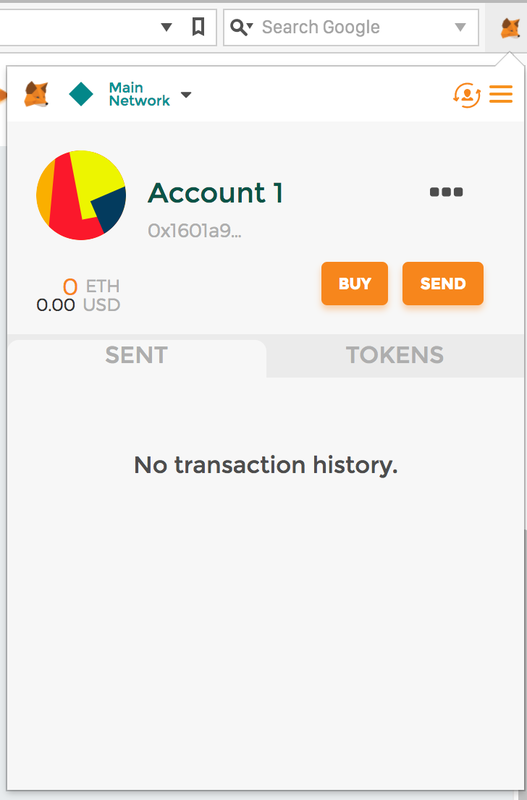 Then we switch to the account with Ether and go to Send. This is the screen on which we input the recipient's address. 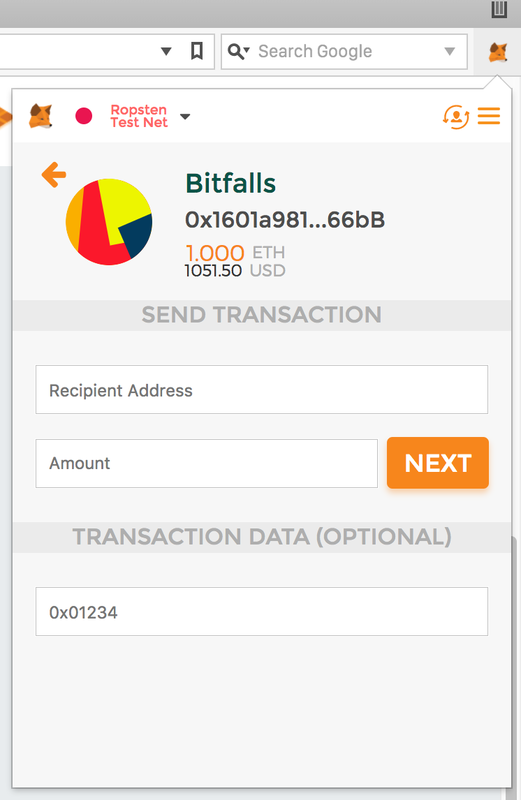 Under amount, let's put something like 0.1 and we'll leave the transaction data field as it. Click Next. It's important to keep in mind that MetaMask injects Web3.js into every website you open while you have your MetaMask extension unlocked. Web3 is a software library which allows websites to easily communicate with the Ethereum blockchain. While Web3 injection isn't a security risk in and of itself, it doesn't mean it can't become one. Not only do all visited websites see your MetaMask Ethereum address when you're logged in, but it's also possible that if someone should ever inject some malicious code into Web3, MetaMask itself, or even the webpage you're visiting, they could glean more private information than you'd be willing to share (your user account on a website and its connection to an Ethereum address, effectively identifying you). 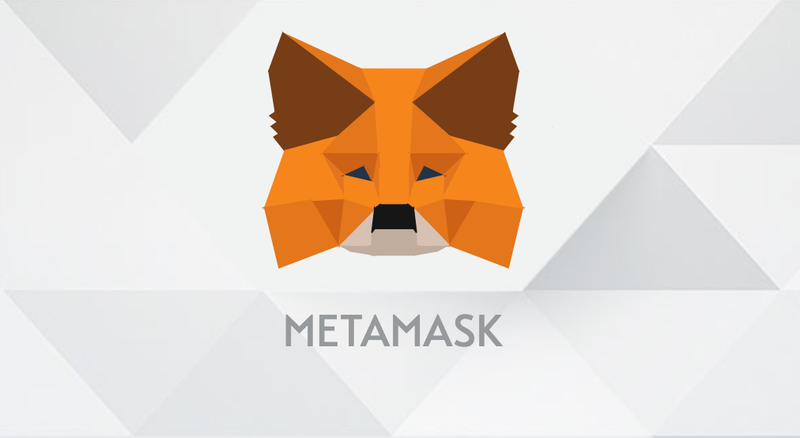 Therefore, it's recommended to keep trivial amounts of Ether on your MetaMask wallet, and to use MetaMask only in a clean browser without any other extensions. We'll cover Web3 in detail in an upcoming post. Next articleCFTC Offers Bounties for Heads of Pump & Dump Organizers!